Sorry… lame, I know. Sorry. Sometimes it’s hard to resist playing the corny card. You may remember I recently got the opportunity to explore South Australia’s Kangaroo Island for SheSaid.com.au (see my article here). It was a wonderful experience, without a doubt. Who could complain about a no-expense weekend away in such a beautiful, unique location? Going away on my own, sans kidlets and husband, is strange. It highlights the two-sides-of-the-coin way I look at myself as a wife and mother. I am so often overwhelmed, angered, exhausted, exasperated by parenthood and coupledom. The urge to claw my way out into open space and fresh air can be all consuming… but only ever temporarily. Because as soon as an opportunity arrives to be just me for a brief period of time I immediately miss my little tribe of crazies. Patty Hearst Syndrome perhaps. This time I psyched myself up for this inevitable feeling of loss and dedicated myself to the experience. For the first time I was able to almost wholly put my real life aside and be this other me for 60 hours. As I drove around KI, in a car with lovely people who were just not as keen on constantly chatting as I tend to be, I was forced inside myself to some degree. Into the terrifying and liberating silence of my own head space. In that silence I was able to really see the scenery and experience Kangaroo Island for what I think it is. An idyllic speck of natural beauty where the noise and distractions of everyday life can be put aside and the mind really cleared. I didn’t really think of anything profound; I just realised how noisy my brain really is and how much external stimulus is attacking my central nervous system every minute of every day. It is relentless and the quiet is actually painful to start with. It is a readjustment to be within myself, peacefully, without the bombardment of distraction which I am obviously addicted to. 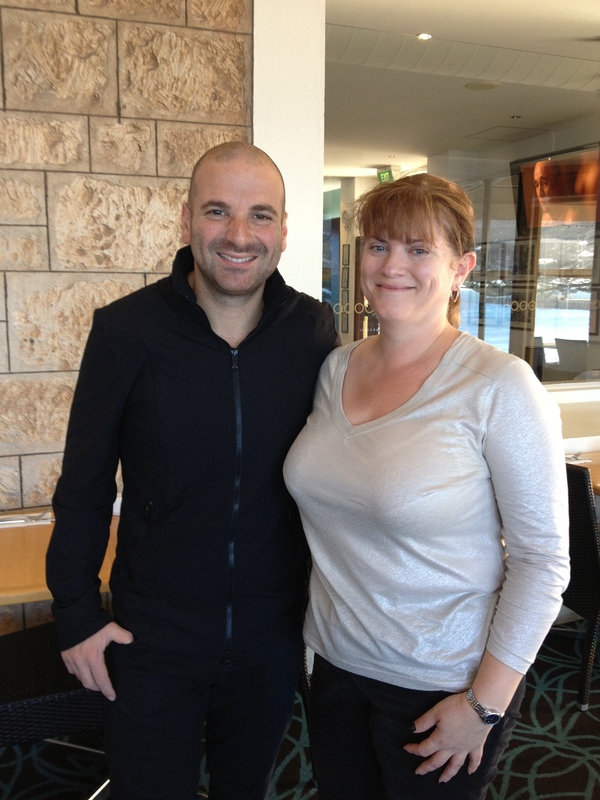 And I had my photo taken with George Calombaris. Yes, I am that shallow. The end. « Is Fun. Is good. OK?